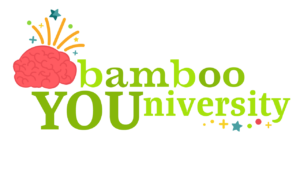 For forward thinking people who want to take their company somewhere new, Bamboo is a hands-on, innovation partner that helps you create both BIG ideas and quick wins. Our expertise in lateral thinking, creative thinking styles and disruption set the stage for deeper, stronger connections that lead to industry leading results. For fun loving clients who want to stretch and express themselves creatively at work, Bamboo is a hands on, idea starting partner that sets the stage for everyone to be creative, with approachable, meaningful sparks to create ideas that can be far out or quick wins, but no matter what, they give you joy….. and that’s true R.O.I: Return On Inspiration! to support your daily disruption?